It’s hard to not perk up when you hear the word Bombino. It’s just so cute, and you’re just not sure what you just heard. Did someone just call you a bimbo? A bambino? Or, better yet, a bombshell? If the conversation revolved around wine, it’s likely that the word was used in reference to a rather obscure grape—or set of grapes—grown around southern Italy and most likely native to Puglia. There are two Bombino grapes—Bombino Bianco and Bombino Nero—and they are apparently not twins, clones, or even that closely related. As with many things ampelographical, it is not yet certain how, or if, they are related. It is, however, possible that Bombino Bianco and Trebbiano Arbuzzese are either closely related or the same grape. 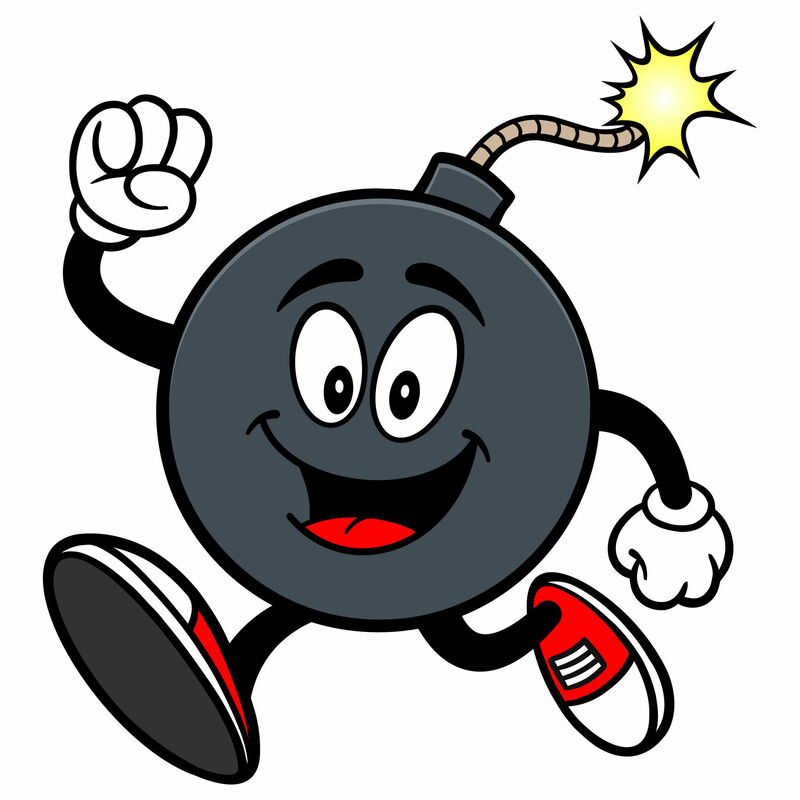 Yet we do know (or think we know) where the name derives from—Bombino means “little bomb” and may refer to the roundish shape of the grape clusters. In Lazio, Bombino Bianco goes by the name of Ottonese. In the wines of the Frascati DOC, it is allowed to make up a maximum of 35% in the Malvasia-based blend. It may also be produced as a varietal wine under the Marino DOC. Pagadebit (or Pagadebito) is another synonym for Bombino Bianco, and just might mean “debt-payer.” However, just to keep things interesting, some of the grapes known as Pagadebito in Emilia-Romagna might actually be a related variety known as Mostosa. And to keep things even more interesting, “debt-payer” is a common nick-name for a handful of high-yield, juicy grapes. At last count, there were approximately 7,400 acres (3,000 ha) of Bombino Bianco grown in Italy. Some of it makes its way into vino (EU table wine) and IGT wines in addition to the DOCs discussed above. Germany also grows some Bombino Bianco, much of it used in the production of Sekt (German sparkling wine). 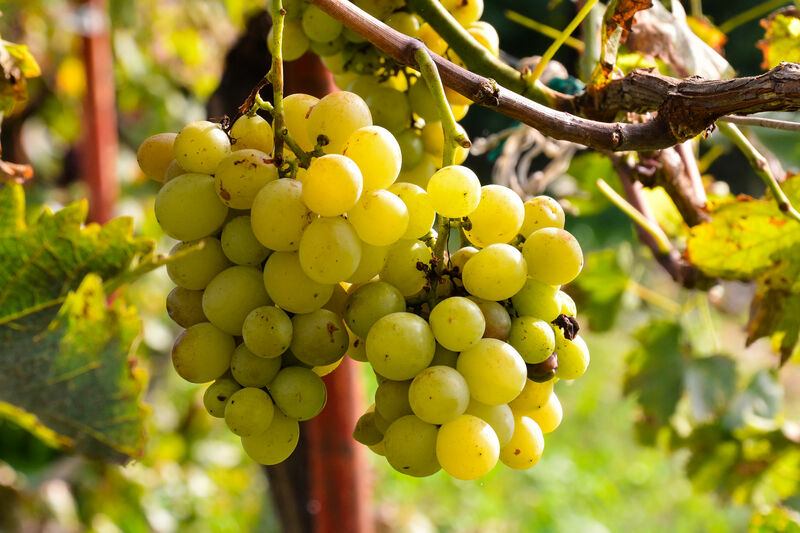 While high-yield grapes are known to produce neutral-tasting wines, given a measure of care, Bombino Bianco can produced wines with aromas of citrus and tropical fruit, herbal notes, and even a hint of minerality. Bombino Nero is far less complicated, and far less planted; at present Italy grows about 2,890 acres (1,700 ha) of Bombino Nero. Most of this is accounted for in Puglia, but some plantings are also found in Basilicata, Lazio, and on the island of Sardinia. While Bombino Nero seems to be native to Puglia, remember, it’s not exactly Bianco’s dark-skinned twin but is (maybe) an indeterminate relative of sorts. Bombino Nero is allowed to be a maximum of 40% of the blend in the reds and rosés of Puglia’s Lizzano DOC. It’s also allowed to make up any amount of the blend in the rosato (rosé) and rosato spumante produced under the Castel del Monte DOC. Being a vigorous, late-ripening grape with excellent color and a strong slug of anthocyanins, it makes sense that it would be an excellent choice for rosé. Which leads me to the biggest bombshell to drop from the dark-skinned Bombino: it’s the majority grape variety (minimum 90%) allowed in a DOCG that is dedicated solely to rosé—the Castel del Monte Bombino Nero DOCG. This is a tiny DOCG, with just 40 acres (16 ha) of vineyards. 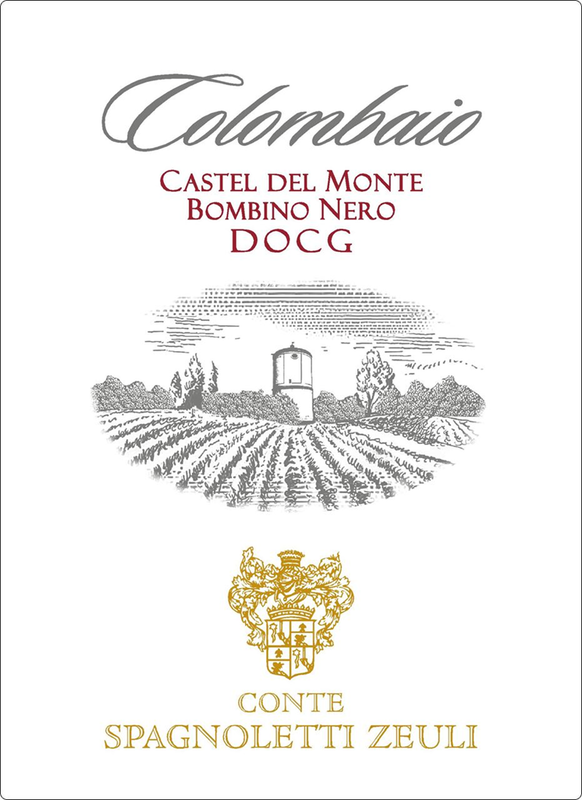 Castel del Monte Bombino Nero DOCG is the only DOCG dedicated solely to rosato in Italy. Boom.